I love perfume, I have many different scents in my collection. However, not all of them can be worn on a daily basis. Though they may smell wonderful, some of them can be a little too intense just to wear while grocery shopping (who wants to make the person buying apples next to you start to sneeze anyway, right?). So I was really excited when I got the chance to review Elizabeth Arden's new Green Tea Yuzu Fragrance. 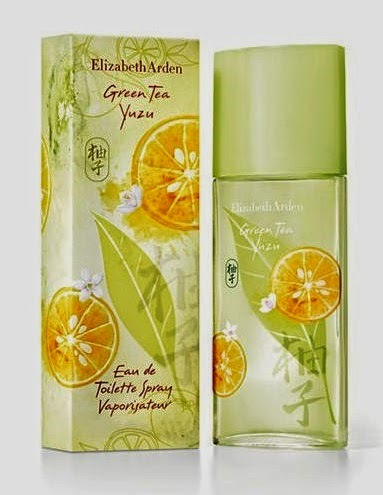 Elizabeth Arden’s Green Tea fragrance is very light and refreshing, perfect for both the Spring and Summer. I’d probably even wear it during Fall, the scent is that uplifting and light. This ancient Asian citrus adds a refreshingly pure energy to the Green Tea fragrance. Personally, I didn't really smell too much of a tea scent. However, it’s a subtle playful and sweet fragrance that’s perfect for daily use and not too “young” of a wear. I’d definitely recommend this new fragrance to woman of all ages looking for a new perfume to wear for Spring and Summer. You can purchase Elizabeth Arden Green Tea Yuzu at Shoppers Drug Mart, Sears, Hudson’s Bay, London Drugs, Jean Coutu, and Rexall. Disclosure: All opinions are my own. I received a bottle of Elizabeth Arden Green Tea Yuzu at no cost for the purpose of this review. No other compensation was received.